Osceola Consulting received the first Sempra Energy Utilities (SEU) Jeff Thorsen Diverse Supplier of the Year Award. 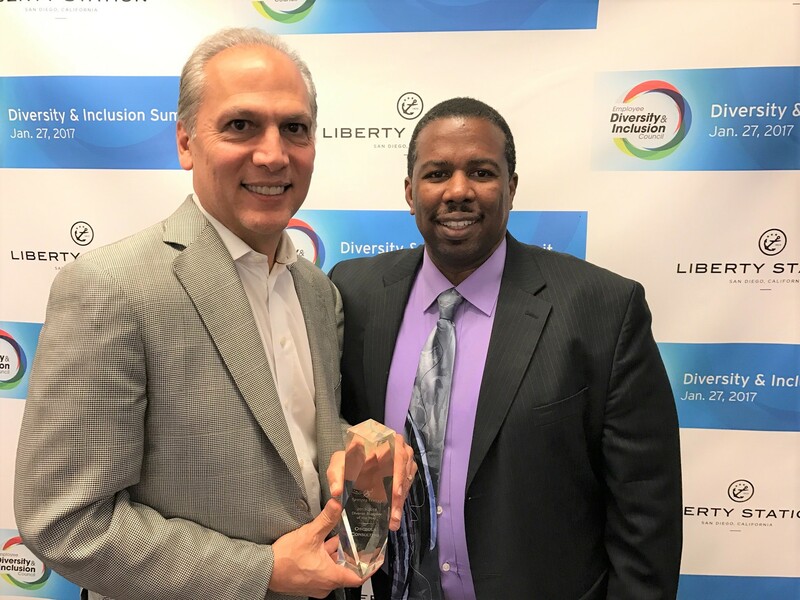 January 27, 2017 – Osceola Consulting received the first Sempra Energy Utilities (SEU) Jeff Thorsen Diverse Supplier of the Year Award at its Annual Diversity and Inclusion Summit and Championing Diversity Awards Ceremony. The Awards Ceremony at Sempra’s San Diego headquarters is given to the Diverse Supplier who provides innovative solutions, competitive pricing, continuous improvement and excellent service. In her welcoming message Debbie Reed, Sempra Chairman and CEO stated “Diversity and Inclusion is and always has been an important component of Sempra’s Success. Because of our diverse Workforce we are able to innovate, creatively solve problems, enhance productivity and compete in a global market place.” SEU noted Osceola started working as a subcontractor in 2008 and is now leading several key IT projects. (L-R) Osceola CEO Kevin Narcomey holding the Jeff Thorsen Diverse Supplier of the Year Award with Sidney Furbush , SDG&E Manager of Supplier Diversity.